Spit up on my knees. On my knees. -When on a plane, a pillow should be held in front of your belly at all times. It’s like an airbag. -Don’t lift things. Anything. That pillow is too heavy. -Don’t eat chips. They’ll cause birth defects. 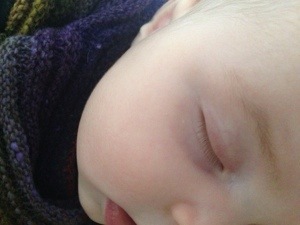 -Home births are unsafe. You need to go to the hospital the second your water breaks, or else you will become infected. -Are you sure I can’t be present at the birth? Are you sure? Lots of people have their parents present. -Your child is always a child. 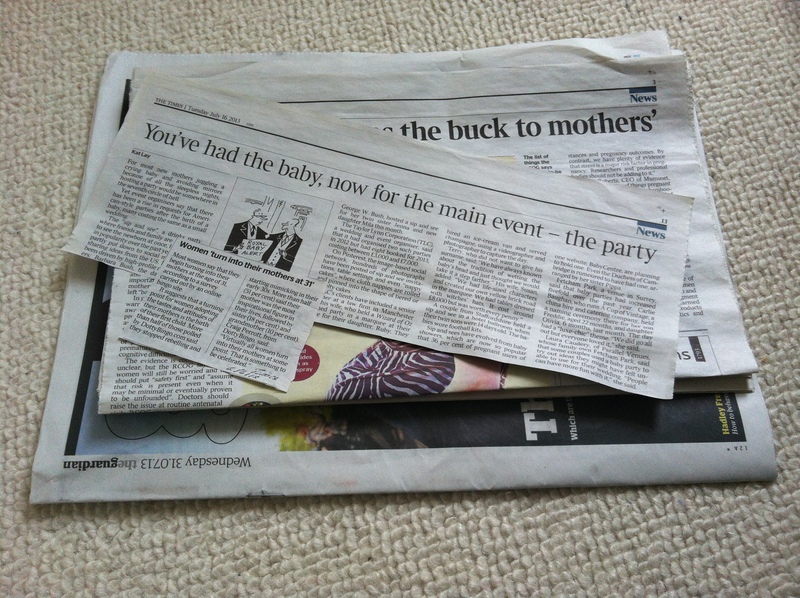 Articles that my mother has clipped from papers and saved for me to read.